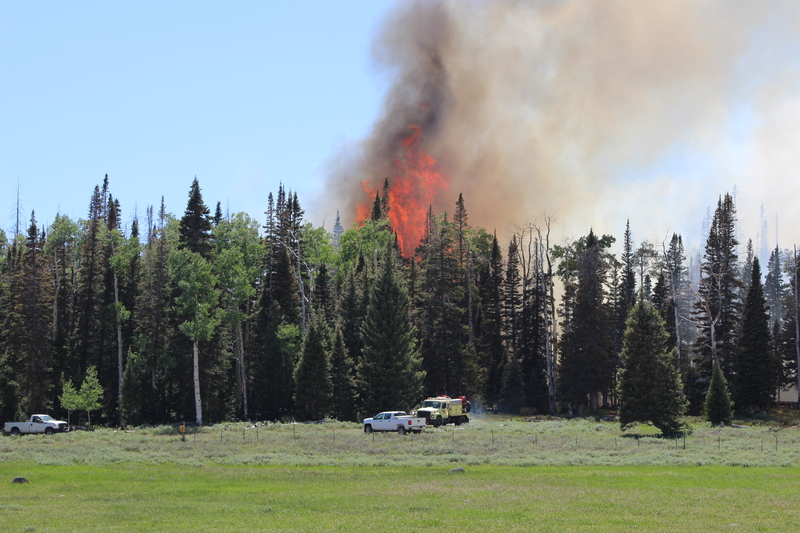 ST. GEORGE – Iron County will not be the location of the trial for a man accused of starting the 2017 Brain Head Fire thanks to a judge granting a request Tuesday to move the trial elsewhere. Taylorsville resident Robert Ray Lyman, 62, is accused of starting last summer’s fire at Brian Head that burned over 71,000 acres across parts of Iron and Garfield counties, destroyed 13 homes, triggered the evacuation of about 1,500 people and cost $40 million for fire agencies to combat. Lyman’s attorney, Andrew Deiss, filed a change of venue motion in July. In the motion, he said his client could not receive “a fair and impartial trial in Iron County” due to various factors. Among the factors cited in Deiss’ motion were the massive media coverage the fire received, the animosity some Iron County residents displayed over social media toward the party responsible for the fire and the assertion that due to Iron County’s small population, members of a prospective jury would likely know someone who was impacted by the fire, thus tainting any sense of impartiality. Other social media posts say that Lyman “should be prosecuted to the fullest” and that “(they) need to hang the ahole with the weed torch who started this disaster,” according to the motion. The assertion that Lyman started the fire with a weed torch was a part of “unfounded rumors” that were spread over social media, Deiss wrote. Judge Keith C. Barnes granted the motion during a hearing in 5th District Court in Cedar City Tuesday, Barnes’ court clerk confirmed. 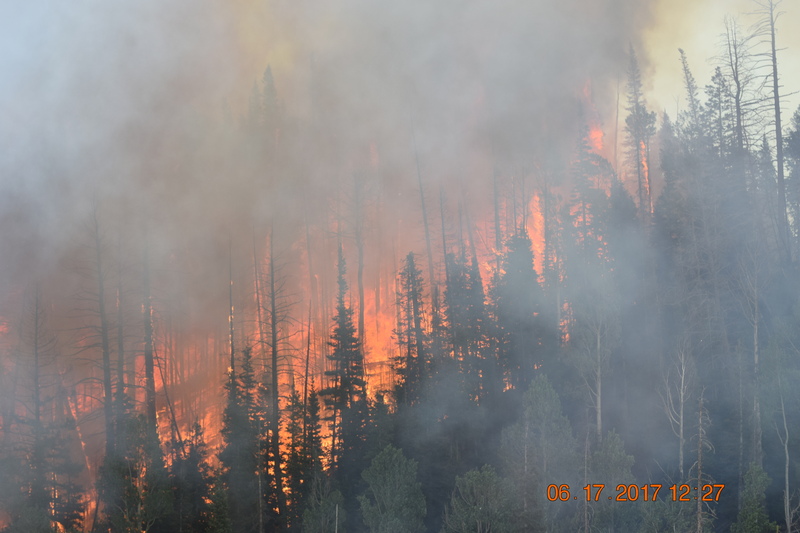 Lyman is charged with two misdemeanor offenses for reckless burning and failing to notify authorities or failing to obtain a permit before burning. Combined, those charges are punishable by up to 18 months in jail and $3,500 in fines if he is convicted. He also could be ordered to pay restitution toward the $40 million cost of the fire. Lyman pleaded not guilty to the charges in November and had a trial date later this month. The August court date has since been vacated with Lyman’s attorney set to submit a motion for a new location in the coming weeks. Persons charged with a criminal offense are presumed innocent until found guilty in a court of law or as otherwise decided by a trier-of-fact. What’s the difference if the idiot started it with a weed torch or not? HE carelessly started it. Of course the people are pissed, he ruined 80,000 acres of pristine land, and put a huge financial burden on both the goverment, and many residents. He deserves a harsh sentence, wherever that sentence is handed out. He should receive the maximum penalty under the law! I strongly encourage the judge to move the trial to Garfield County. There he will find a host of jurors who offer only the finest quality in determining the guilt or innocence of the fire starter.